The Yankee Golden Retriever Club exists to promote the development and enjoyment of one of the world's finest sporting dogs, the Golden Retriever. 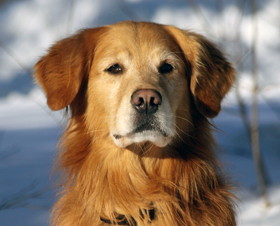 Yankee welcomes members who share our love for the Golden Retriever. Our membership is composed of breeders, exhibitors, obedience and field trainers, AKC judges, and pet owners. We are people like yourself, who are interested in increasing our knowledge and in preserving the standard and special qualities of the Golden Retriever. Yankee Golden Retriever Club is a member club of the Golden Retriever Club of America, Inc., the Master National Retriever Club, the American Dog Owners Association and the North American Hunting Retriever Association, and is licensed by the American Kennel Club.